Little John Creek, Canadian Co. 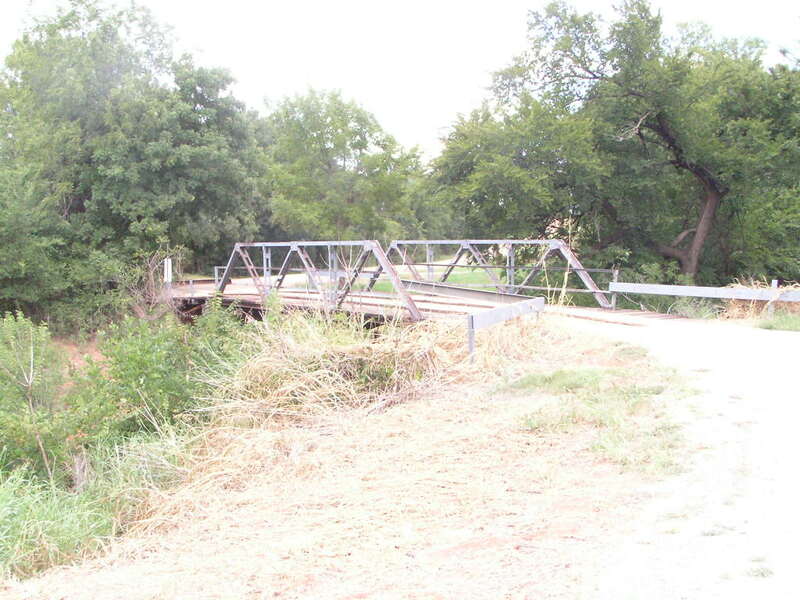 Measuring in at only 42 feet length, this rough-and-ready Warren pony span was built in 1909. 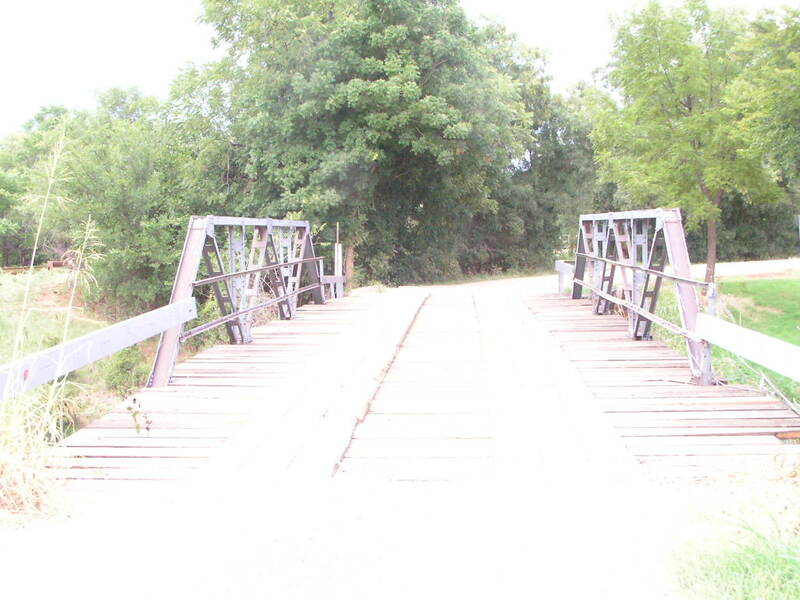 Above, view of bridge as seen when you approach it. 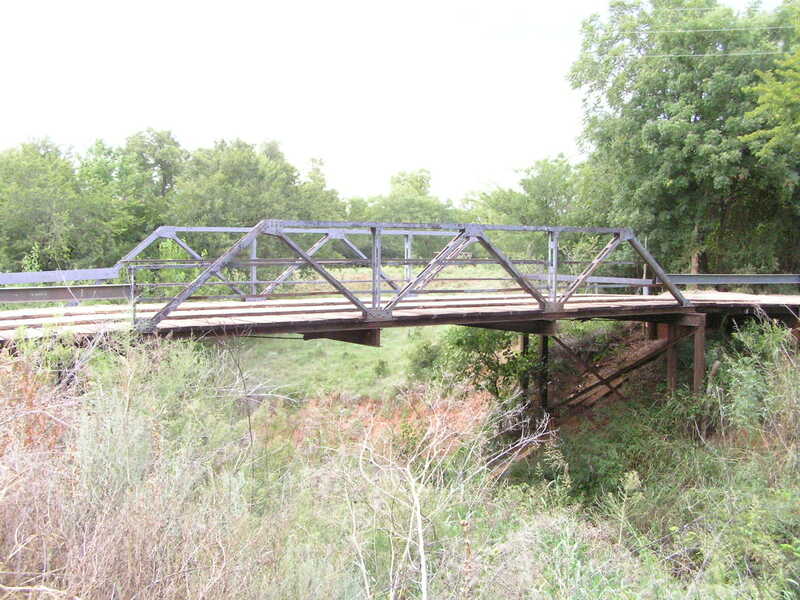 This bridge sits on an east-west road 3 miles east and 3 miles south of Okarche. Below, a view from the bridge's deck. Above, close-up of Hip connections. 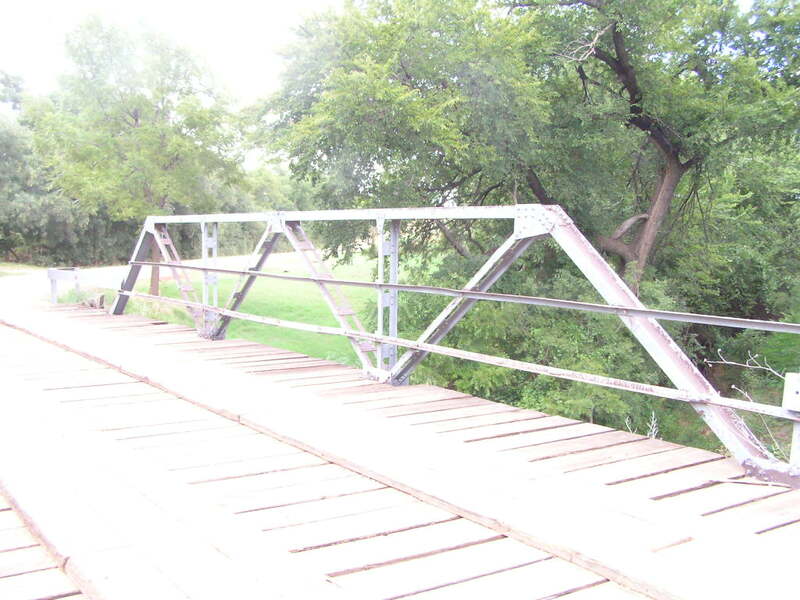 Note the absolute simplicity and economy of this bridge- angles, plates and rolled I sections. Below, from this view you can see and appreciate the rough and wild construction of this bridge. 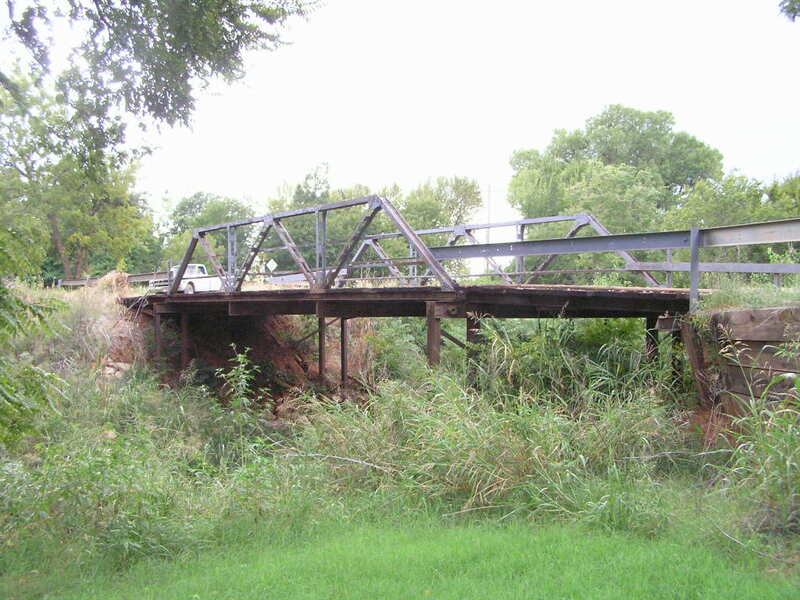 The bridge sits on rolled "H" section piles braced with angles. Paired channels are used for the lower chord. 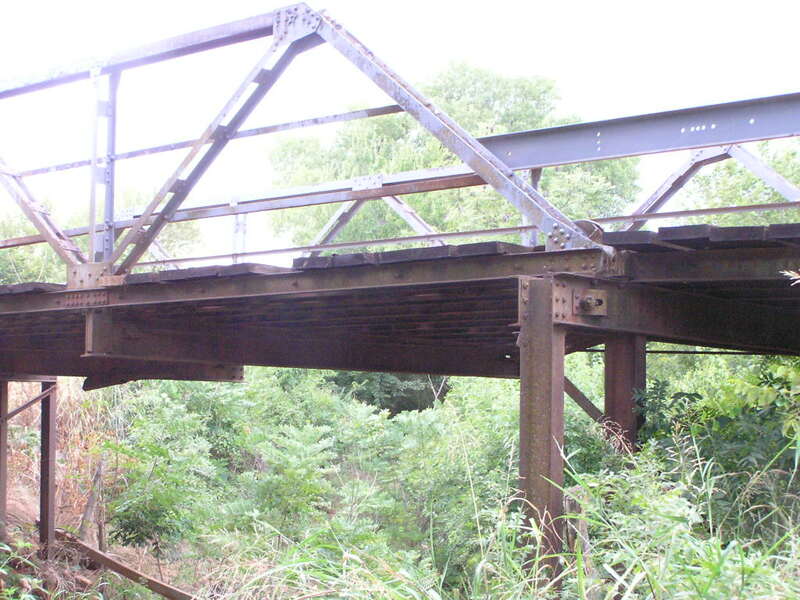 The bridge rests on, and is simply bolted to the pile cross beams. It doesn't get any simpler than this! 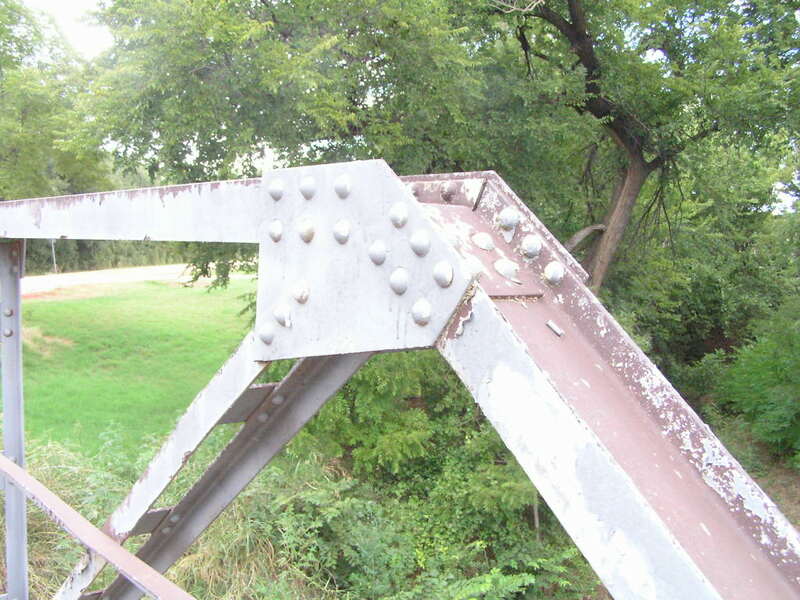 Above, view of the 3-panel truss. Below, overview of the bridge taken from a low elevation. The bridge almost seems to "float" on the lightweight pilings. Above, another good side view of the span. For a bridge built just 2 years after statehood, its condition is really quite impressive.